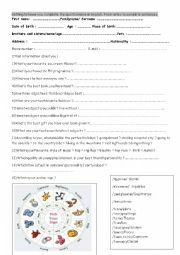 A questionnaire to help students talk or write about themselves. 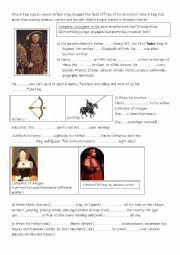 Short, easy paragraphs to complete with the past simple about the famous Tudor King. Creative writing on several topics to practise past, present, future and conditional. The students write about themselves, their childhood, school, their dreams. A good way to review vocabulary and get to know each other as some of the texts will be read to the class. 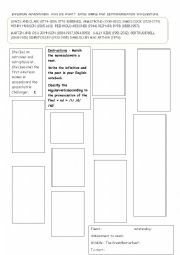 A slide show with verbs in the infinitive and pictures to help students make sentences in the past simple to talk about their holidays or weekend. Then some tools and vocabulary to make them write a complete paragraph.